Widely used in nuclear (pressurized water reactor) & fossil power plants, Steam Condensate Polishing Units is used for purifying return steam condensate. This is crucial for meeting the quality needs of the high pressure thermal cycles. It also assists in reducing the consumption of make-up water. 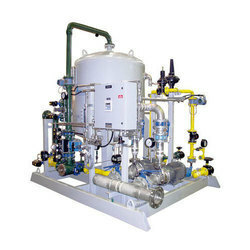 The unit is used mainly to remove Corrosive impurities and dissolved salts. Looking for Condensate Polishing Units ?